End The Occupation - No Blood for Oil! 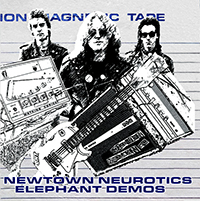 Buy Newtown Neurotics music here! to the band and not to any global conglomerate! The purpose of this website is to provide interested people to the delights of one of the most underrated punk bands of the Eighties. Although they were time and again critically acclaimed their uncompromising political views prevented them from getting the radio exposure they so richly deserved. To read what the critics thought see below. 'Elephant Demos' vinyl album Limited Edition available to purchase now! There are a lot of people who were into the band but had trouble getting hold of the records, with the help of this site we hope to be able to point a lot of you in the right direction and answer any questions you may have about the band or their songs. Formed in 1979 by Steve Drewett, they began like so many others to attempt to get their clumsy fingers around three chords and ape the Ramones who were their heroes. Sporting Joey Ramone length hair Steve would sneer at cries of "Bloody Hippie" from the audience but after a couple of numbers nobody cared they just went into pogo frenzy. The early stuff from the band like "Hypocrite" and "When The Oil Runs out" singles were both great melodic punk songs on the type found in the early eighties but both were written prior to the election of the Thatcher monster. The horror of this event changed what was the non-political writing style of Steve's lyrics into the other extreme, and so in June 1982 "Kick Out The Tories" was released on CNT records. This was a double "A" side shared with Mindless Violence as it was quite obvious that the political nature of "Tories" would prevent it some what from being Radio One's Tony Blackburn's single of the week! However, even "Mindless Violence" raised some awkward Questions as Chris Bohn the singles reviewer in the NME on 12th June of that year pointed out. "In a rare (these days) moment of Punk insight, the Neurotics bravely make the distinction between mindless and political violence _ Mindless violence, what does it prove?/It proves you don't know the people who are shitting on you!_ and go on to condemn the former, if they don't exactly explore the latter, I wait to hear more, despite the other side's plainer rant." 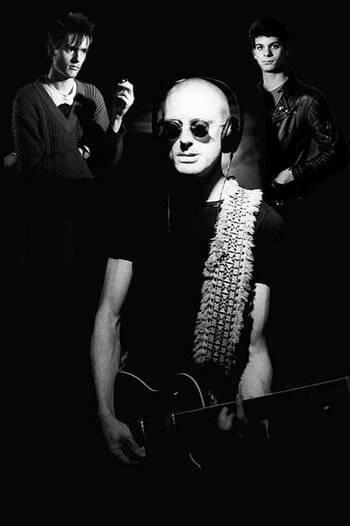 One of their most popular live songs was "Living with Unemployment" which although was based on a Members song "Solitary Confinement" had a quality and anger all of it's own. So much so that it's performance at the Fulham Greyhound in 1987 prompted J.C.Carrol, main songwriter of the Members who was in the audience that night to say, "you've made an old man really happy"
YOWSAH! The Members "Solitary Confinement" strapped to a slab, jerked vertical and exposed to the slashing Wagerian lightning of class hatred. Cower, you Simpering post-modernist poodles. Quake, ye running dogs of twee. The reworking, recorded live, is the Neurotics at their frenetic, bounding best. They are traditionalists, there is little innovation in their output. It is their misfortune that their forte, reggae-tinged rock, is sooo unfashionable due one supposes, to the number of cacky exponents of the medium. The Neurotics have a stunning track record - "When the Oil Runs Out", "Mindless Violence", "Kick Out the Tories"- but this, this is their finest hour. Steve Drewett's voice gets rougher and grubbier - like a rubber glove poked full or fag - burn holes. The band mash and mesh tighter and harder. Articulate, bigoted and snotty. Almost the perfect pop single. " We are the scroungers whoo, whoo, whoo........." ...and there's plenty more where that came from. Wooah!!! You are the person to visit this site today!